Chevy Cavalier was first conceived in 1981 in an effort to take a fuel economy approach to passenger cars. Up to this point in time, most General Motors automobiles were large and bulky and did nothing for fuel mileage. The 2.4L engine was what GM selected for its Cavalier. While Ford and Dodge both made vaguely similar cars, Chevy Cavalier stood the test of time for 25 years. 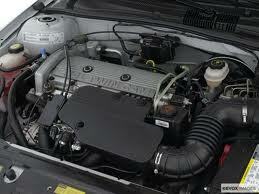 We have Chevy Cavalier 2.4L rebuilt engines in stock right now. There is no waiting or delays when you want a true GM engine. We are America’s largest rebuilt engine dealer selling online and have the inventory to prove it. Several versions of the Cavalier have been produced. The wagon and the hatchback were quickly forgotten models although these included the 2.4L engine inside. Chevy later experimented with a V6 engine in the ’80s and early ’90s although drivers responded best to the 4-cylinder version. 1995 to 2005 saw the most memorable redesign of the Cavalier and this is the engine that we choose to rebuild here. The equipment and passion that are used inside our rebuilding shop are unlike anyplace else that you might have discovered online. We know what it takes to achieve perfection and we do it daily. The technology that it takes to rebuild engines actually gets upgraded from time to time. Some dealers do not upgrade their training or techniques and we feel the quality probably suffers for it. We are always on our game here and we know General Motors products. It is not a problem for us to order parts that are genuine. Customers expect us to produce OEM engines and that is what we do here. The reliability of Chevy engines is one thing that drivers around the world would never argue about. When put up against other automakers, GM wins time and time again. The dedication that our staff of GM mechanics brings to our company everyday is completely amazing. Every employee that we have is professional and is the reason our reputation is so regarded. A Cavalier engine does not rebuilt itself or get shipped out by itself. Our team works together to make all parts of the engine puzzle fit together perfectly. Each department that we have is always in direct communication. Every detail is known by each employee and we have no errors because of it. The warranties that are included in the 2.4L engine that are sold are complete. This means that they include our labor and the different parts that we install. You never have to worry about an issue that was caused by us or one that we cover. Online quotes cost us nothing and you nothing. Our system here at www.rebuiltengines.co generates quotes fast. You never have to wait and our quote form is available day and night. Get as many different quotes as you need to get. You can call by phone at 1-(336) 355-5679. You can order from this number, ask questions or address any concerns you have about our rebuilt Cavalier engines for sale.